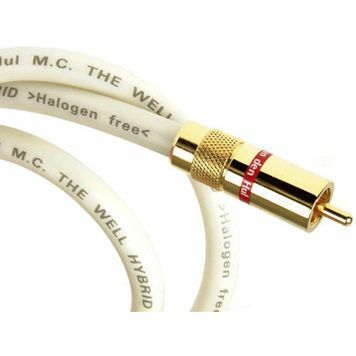 van den Hul The Well review | What Hi-Fi? From the off, The Well feels like a hefty product – an impression not dispelled by its performance. A most dynamically punchy cable, this interconnect serves up a lively and fast-paced sound with a real sense of rhythm. Tucked inside there’s a very smooth treble and well-shaped midrange, while the handling of detail offers transparency and insight. Some subtlety is glossed over in this highly energetic delivery, but as a panacea for those who feel their (£800ish) kit is too thin sounding, or lacks a sense of drive, this is highly recommended.